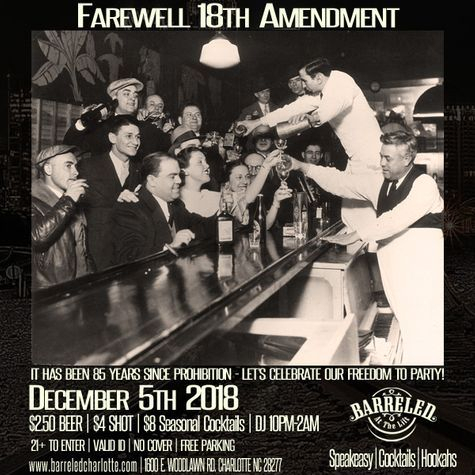 This will be the cat's meow of New Year's Eve Speakeasy parties, Ol'sports. 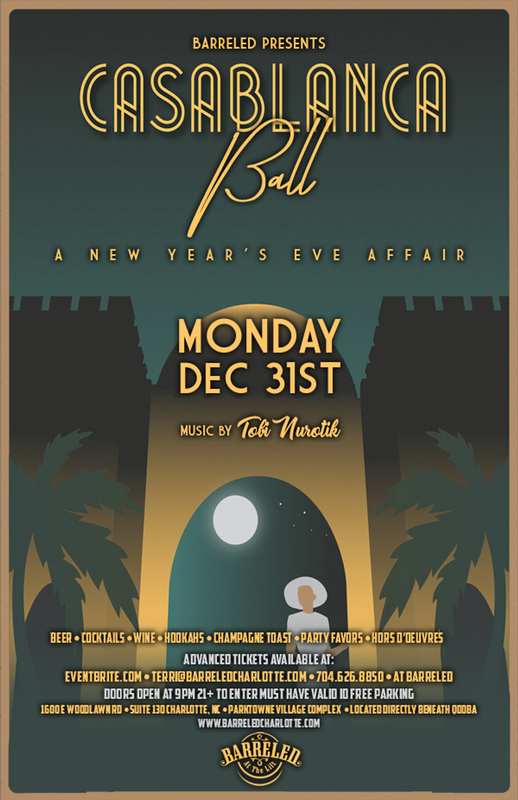 Ring in the New Year with your significant other and buddies for a spectacular NYE Affair! Be sure to get all dolled up in your 1920s garb and zoot suit. Our Barkeeps will keep that giggle water flowing and those Hookahs smoking while DJ Nurotik plays those sweet beats and sing-a-long tunes all night long. Purchase Tickets or have any questions -- please e-mail terri@barreledcharlotte.com or give us a call at (704)626-8850. VIP and General Admission Tickets are available for purchase below.